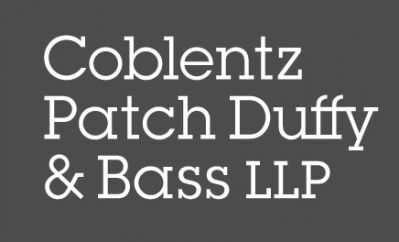 Coblentz, Patch, Duffy & Bass LLP Partner Paul Tauber and the other members of the Guantánamo Bay (GTMO) Task Force of the Pacific Council on International Policy released a second report, A Matter of Time, to renew the call for federal judges to preside over military trials at Guantánamo. The report builds on recommendations made in 2016, two of which were adopted in the National Defense Authorization Act for Fiscal Year 2018. Following up to the GTMO Task Force’s 2016 report, Up to Speed, the task force now calls for equipping judges with expanded powers to enforce deadlines, levy consequences, and propel these cases toward fair and final conclusions. Read the Task Force's Report.